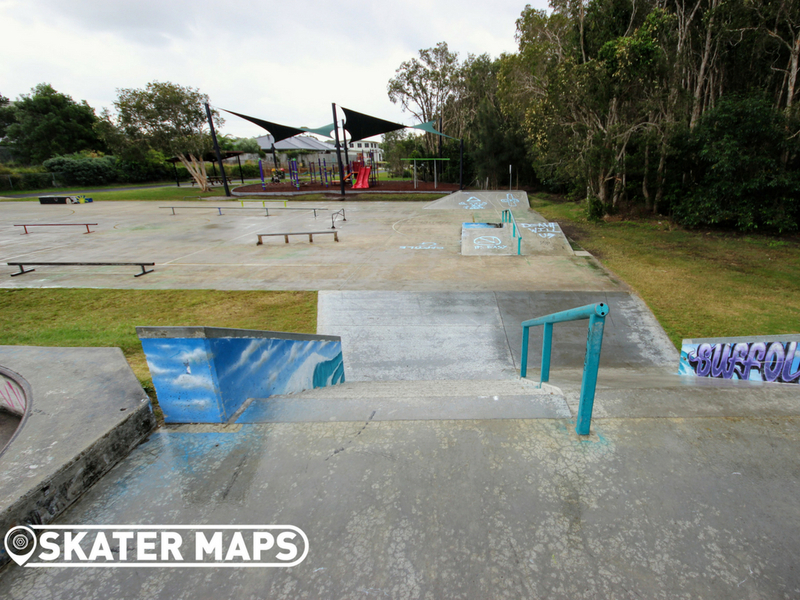 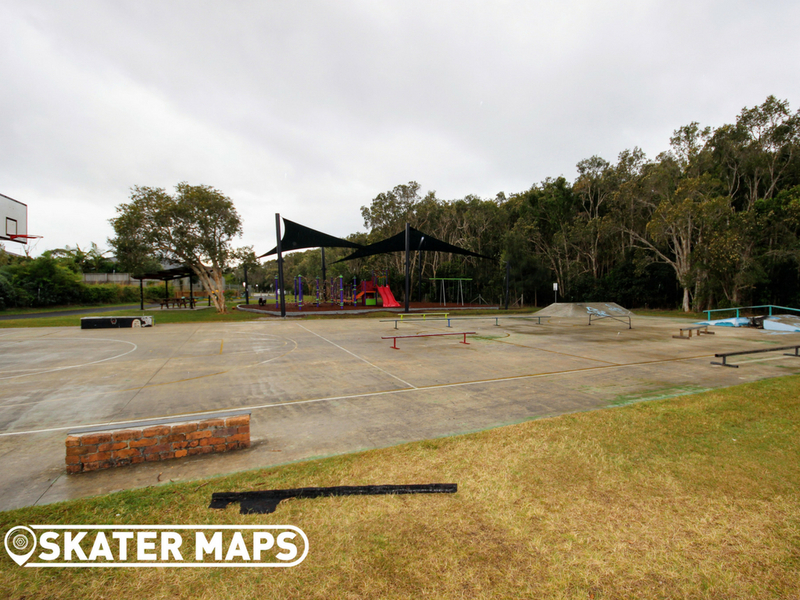 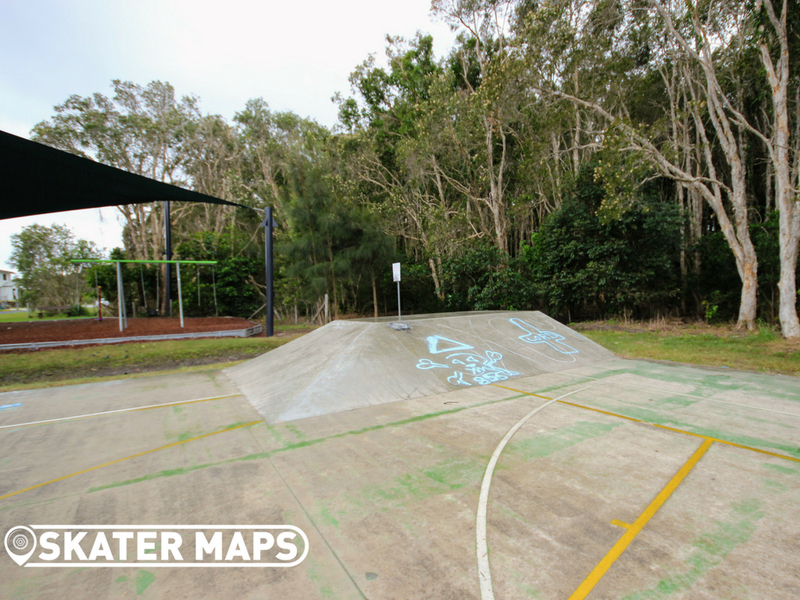 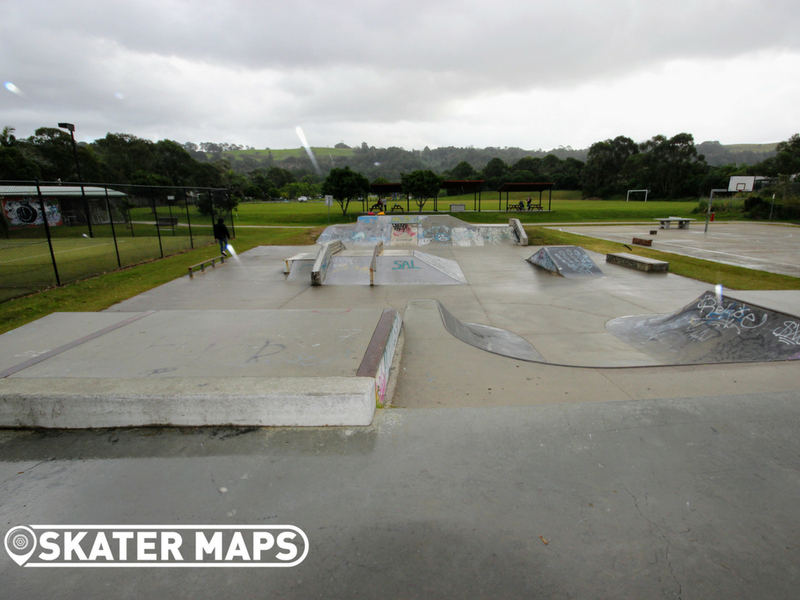 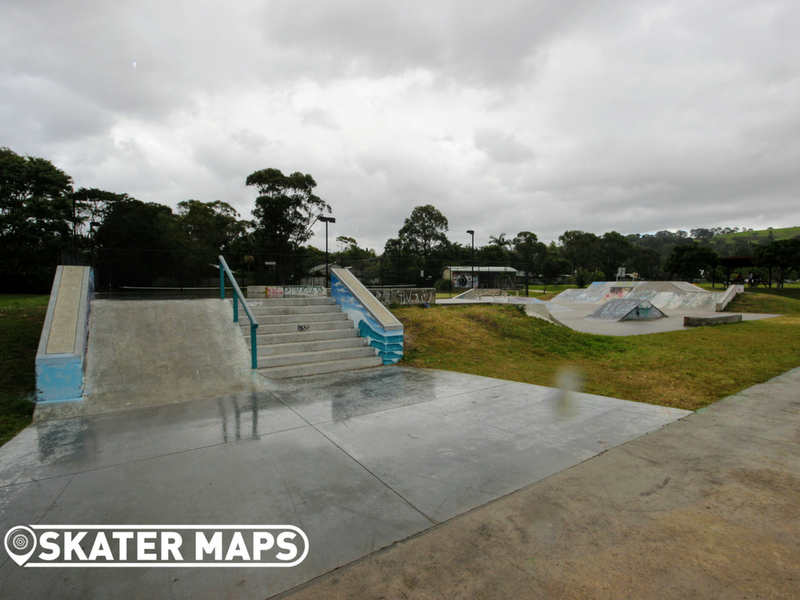 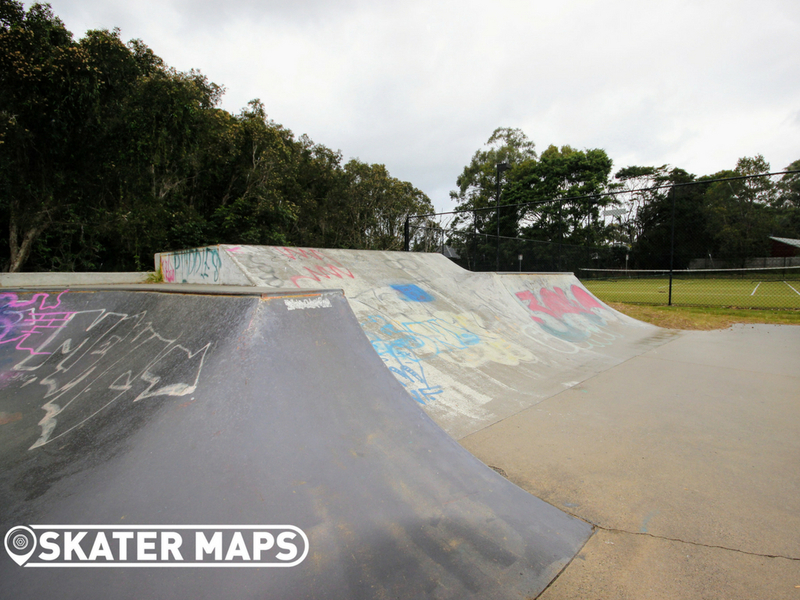 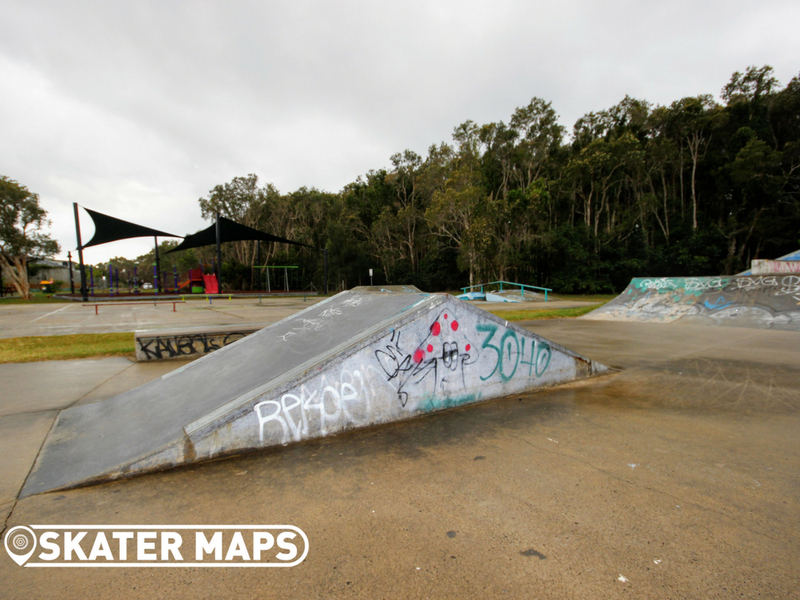 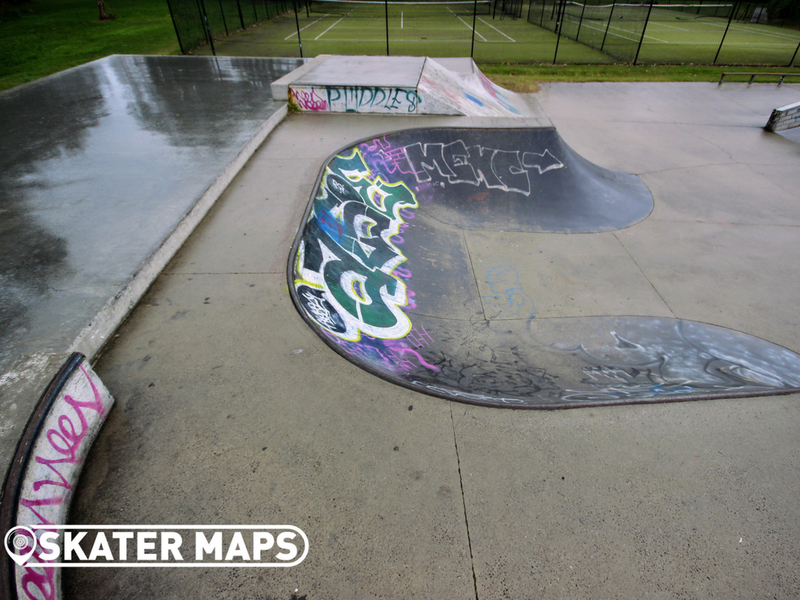 Suffolk Park Skatepark was originally constructed in 2007, however was added to ten years later due to popular demand and the lack of skateparks in Byron Bay. 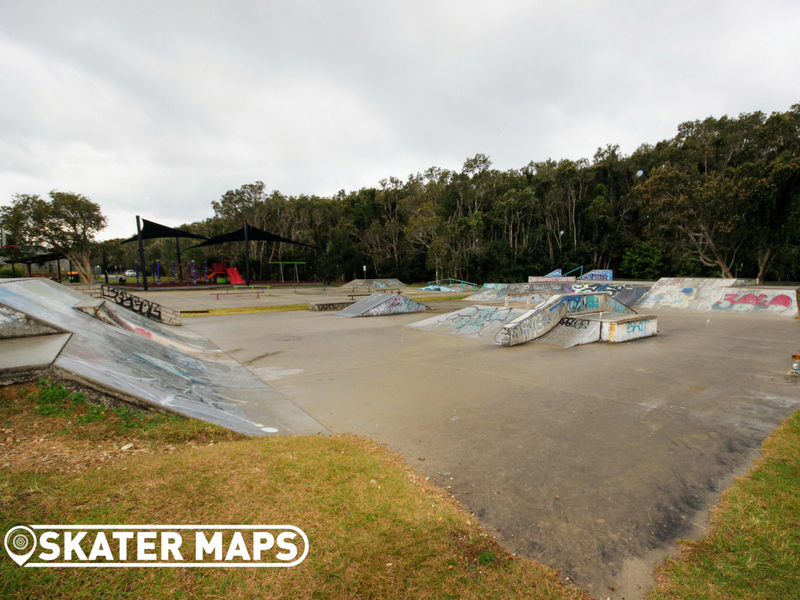 The original skatepark is relatively conventional, especially compared to the recently added section. 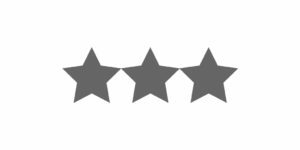 Our favour section is the link between the two. 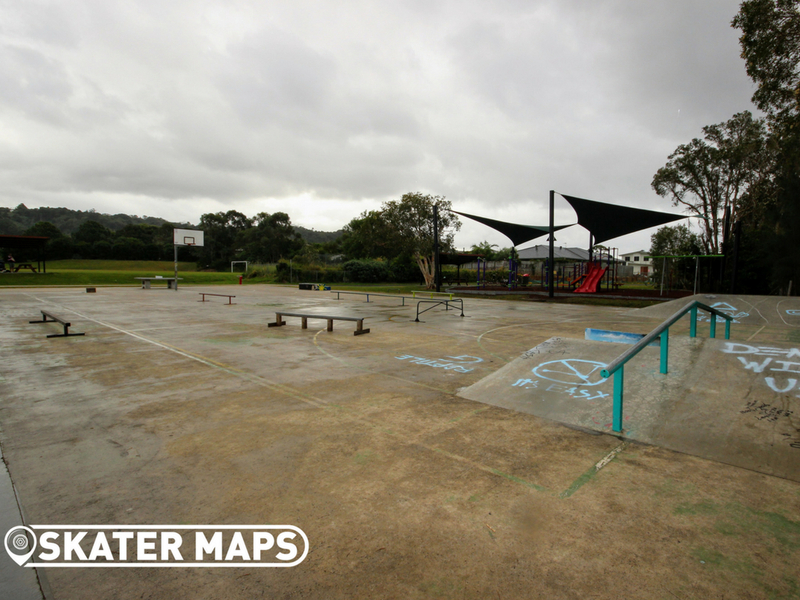 The skatepark extension that was added in 2017 took over the basketball court that was rarely used and although the hoops are still there, we couldn’t imagine many ballers wanting to shoot up whilst jumping over rails, ledges and a bunch of random obstacles that you may find on any street corner. 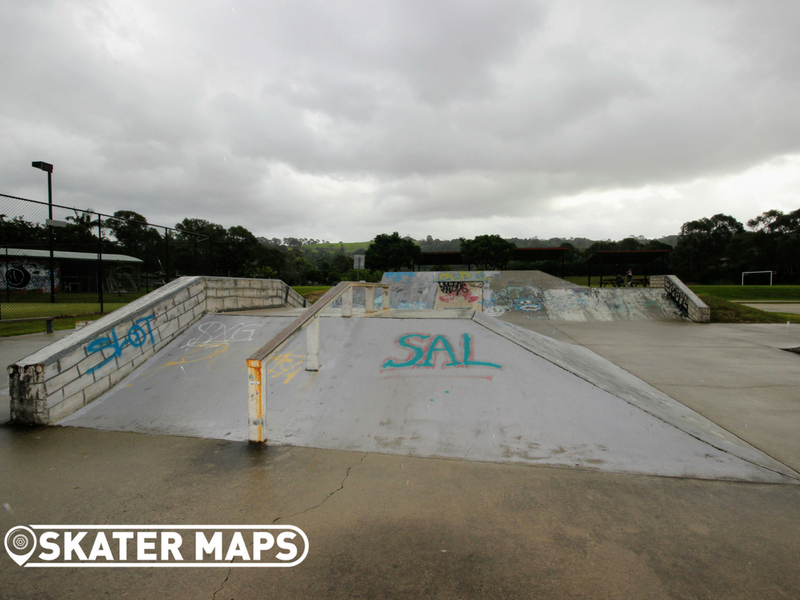 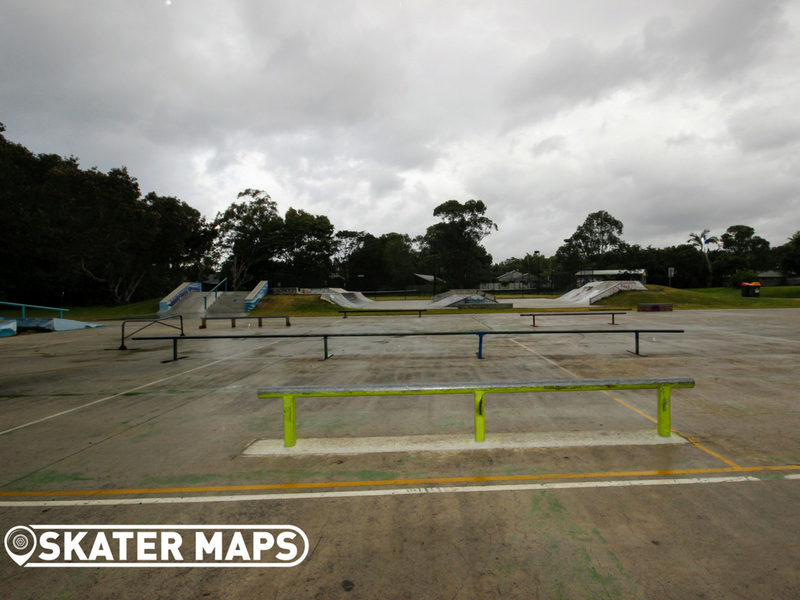 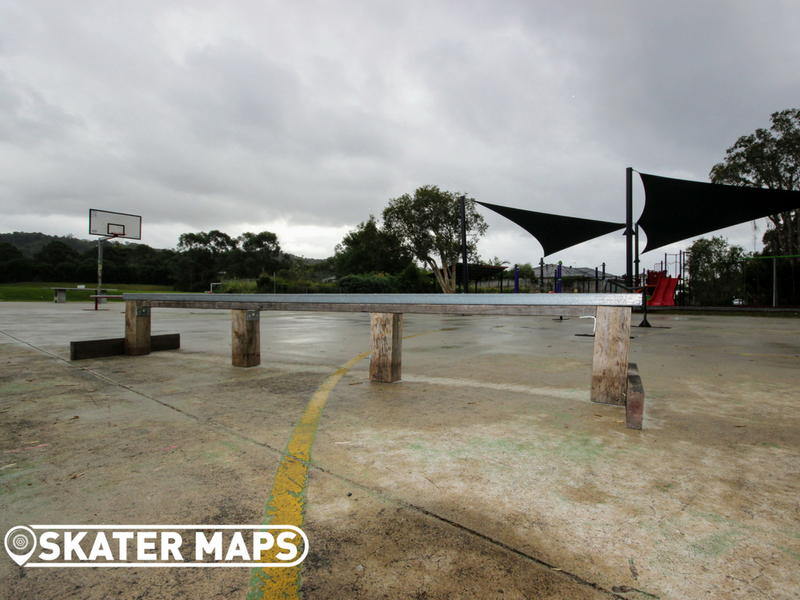 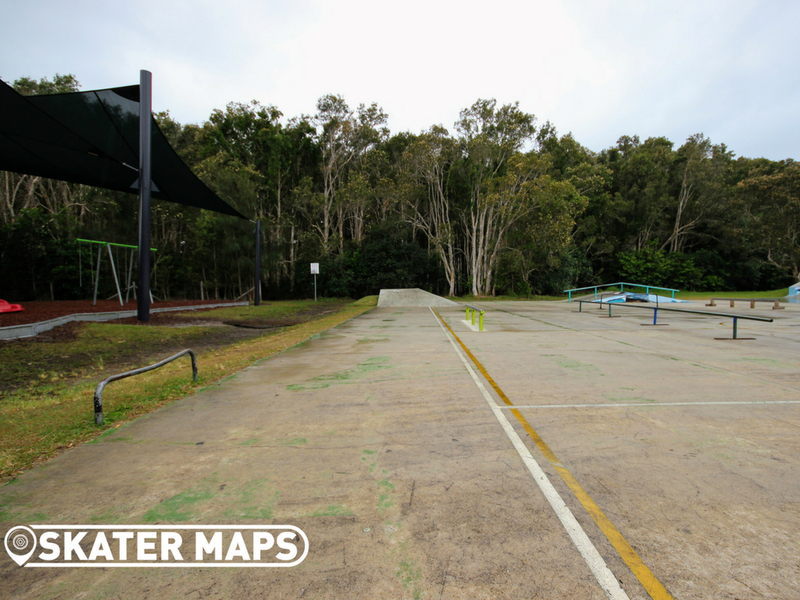 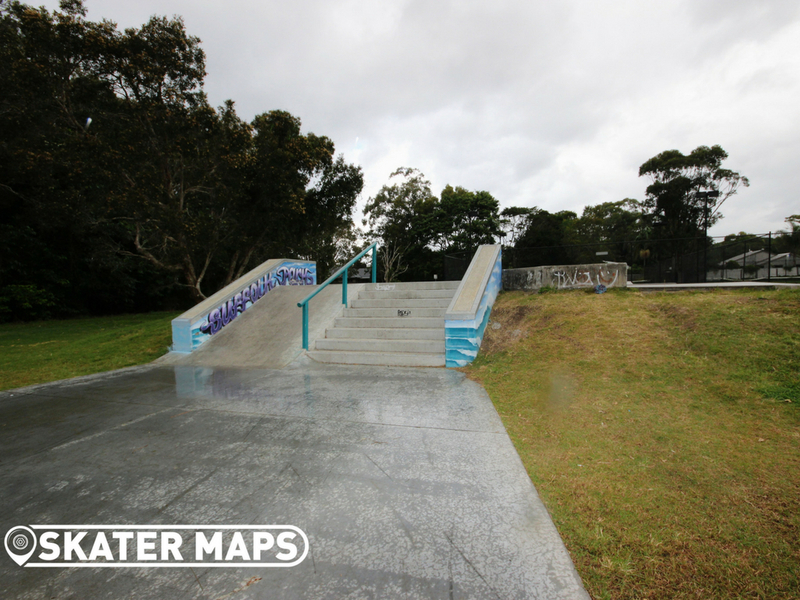 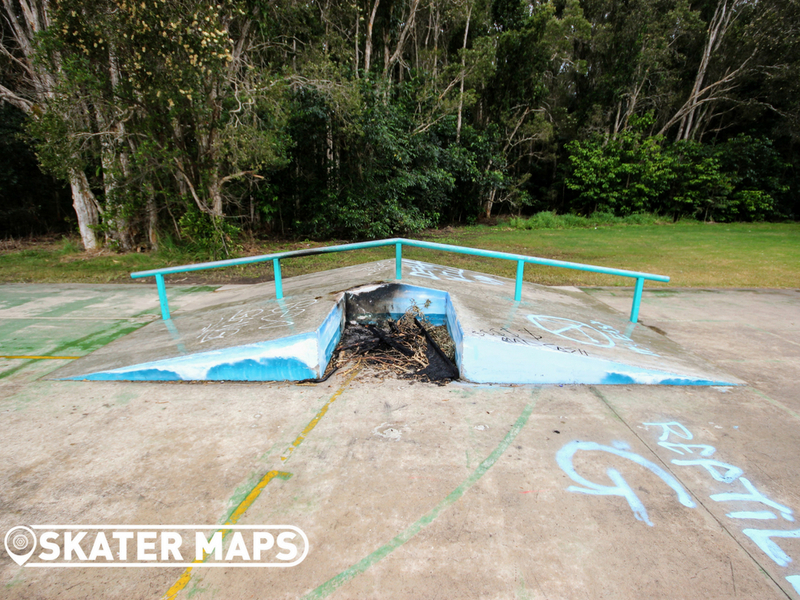 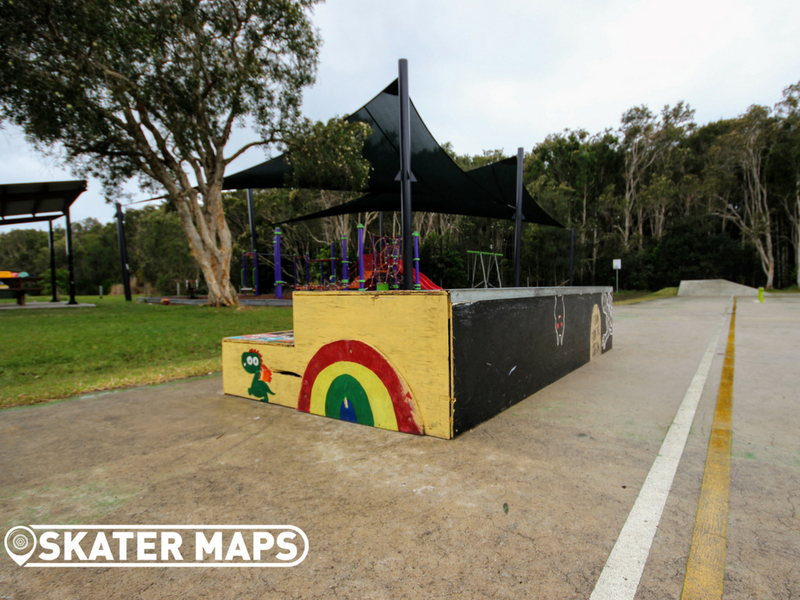 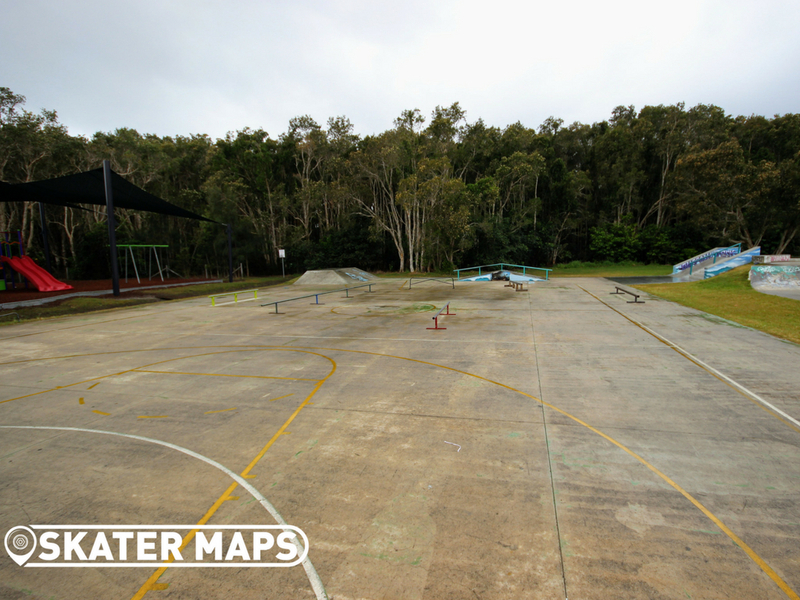 We haven’t seen anything like it before, however the closest that we have come across would be Reservior Skatepark where they built a street style park over an old, rough and very badly cracked concrete netball court. 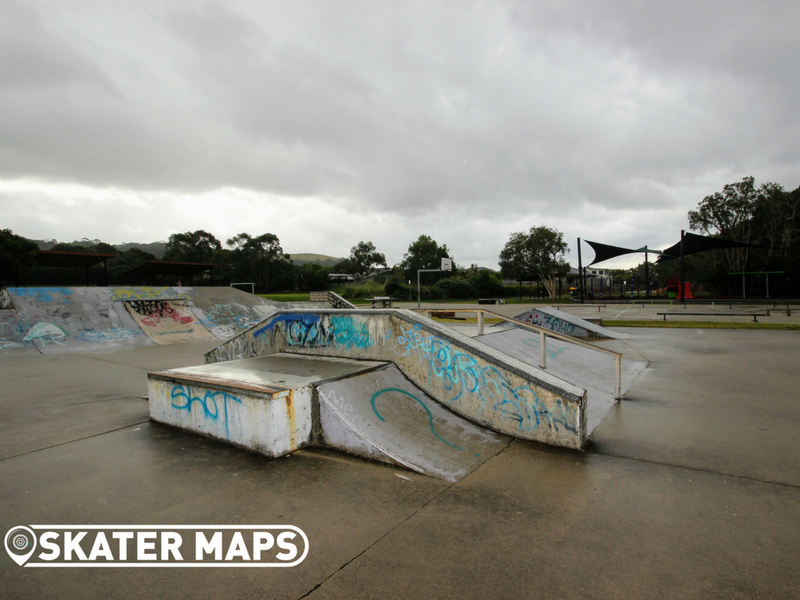 Suffolk Park on the other hand has been built on a super smooth basketball court that creates one of the best street style plaza’s that we have come across to date whilst also having all the props of a conventional skatepark. 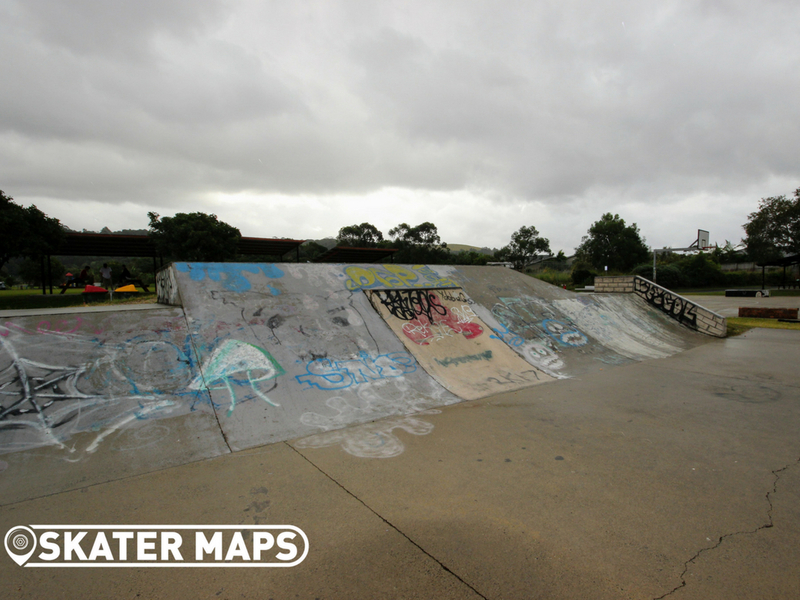 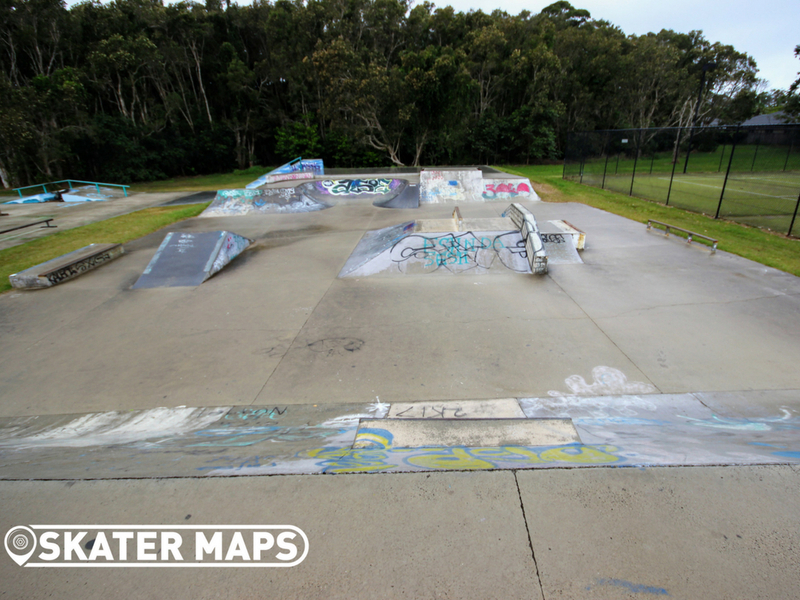 Suffolk Park Skatepark may be unconventional, however it is definitely the best eastern most skatepark in Australia. 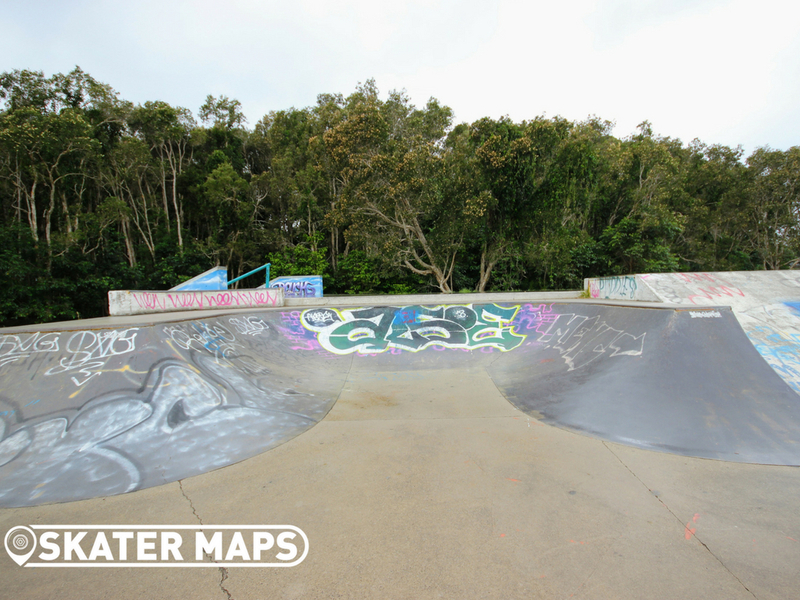 The Byron bay locals are going to hate us for sharing their best secret with you, however we would highly encourage you to cool off after your skate in the refreshing Bundjalung Ti-Tree Lake.